The FIA is set to limit team radio communication with immediate effect in an attempt to electrify racing and reduce the influence a team has on their drivers while on track. 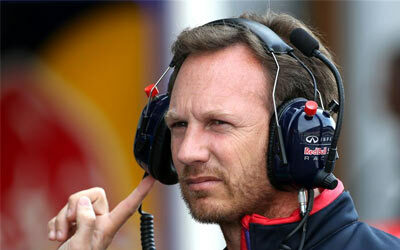 Formula One's governing body has decided to restrict the intense radio chats between drivers and their race engineer. Drivers had been given excessive information not just about hazardous incidents or pit stops, but also about tyre and brake wear, fuel consumption and instruction about potential time gains. 20.1 paragraph of the Sporting Regulation states that a driver must drive the car “on his own and without any external assistance.” The limitation set by this rule will not me more strictly enforced. Right from the next round, the Singapore GP, engineers may not give any information about places where time can be gained, the state of the tyres or brakes, fuel consumption, nor will they be allowed to give instructions about starts procedure or the bite point of the clutch on the formation lap. Drivers are still allowed to use their LCD display to have access to some of the information mentioned above. Three teams however don’t even have LCD display on their steering wheel. Engineers will still have the opportunity to tell to their drivers when to come in for a pit stop or swap positions with their team-mate. They can still inform their drivers about hazards on track or track position in qualifying. The FIA will record all radio communications and will monitor them vigilantly. Although there are still questions and some uncertainties, the FIA has apparently warned teams it is to apply a zero-tolerance approach on the matter. A break of the new rule could result in a 5-second stop-and-go penalty. It is also unclear whether teams can give information about the banned items via the pit board system.